If you would like to launch a magazine or have an existing publication that you would like produced we can help you. At Fizzwig Designs we have the experience of working with publishers of small local magazines and newspapers to national publications, over the years we have worked on over 200 publications. We are happy to do any or all of these for you enabling you to concentrate on running your business and ensuring that the end product is a first class publication. 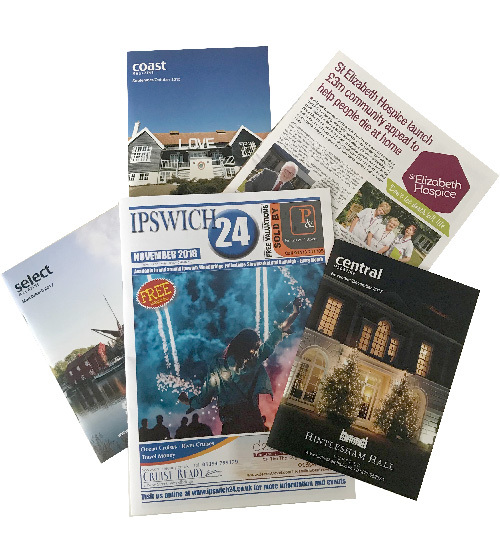 Currently, in addition to producing our own publication, Ipswich24 magazine, we also source editorial, design and layout Central Magazine, Coast Magazine and Select Magazine. If you have an idea for a publication – we can help you make it happen.